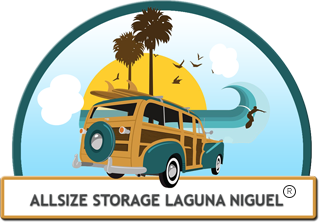 Allsize Storage Laguna Niguel is a ONE-STOP-SHOP for all your packing and storage requirements! We know that if you take the proper steps in planning your move, that you will have a great storage experience. 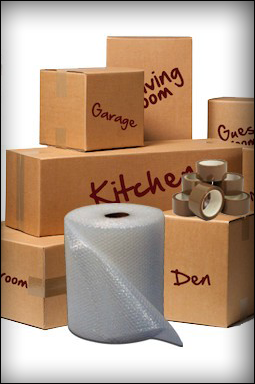 We also have all the necessary moving and packing supplies to safely preserve your valuables. Our store features a full line of moving supplies - from boxes, bubble wrap, wrapping paper and locks, at very affordable price. We Sell Boxes of all sizes! Small boxes measure 13" x 13" x 16.5." These boxes are perfect to store books, CD's, video tapes, and many other light weight household items. These boxes are great for stacking, so they are ideal to be used for carrying/transporting. The size of medium box is 18" x 18" x 16." Its size is perfect for storing many household and business items including small kitchen appliances, electronics, computer equipment's, clothes, shoes, cookware, dishes, toys, and more. Medium boxes are considered as multipurpose boxes that you can use to store your goods. This size is also great for stacking. This box measures 18" x 18" x 24." You can use large boxes for carrying larger and lightweight household or business items including clothing, lampshades, towels, bedding, and pillows, etc. These boxes are also great for stacking. This box measures 22" x 22" x 21." You can store large items that are light in weight, such as sleeping bags, jackets, and comforters, etc. These boxes are also great for stacking. We offer Cell Packing Kits to make it easier for you to pack your dishes and glassware. These Cell Kits are specially designed to keep you fragile dishes safe during transport and storage.